NOKIA 5.1, NOKIA 3.1 and NOKIA 2.1 smartphones announced. HMD Global, the home of Nokia phones, today announced Nokia 5.1, Nokia 3.1 and Nokia 2.1 smartphones. Offering access to the latest Google services, such as the Google Assistant, the trio of smartphones continues to deliver a pure, secure and up-to-date Android experience with Android One and Android Go. Nokia 5.1 comes with a higher resolution 5.5-inch Full HD+ display in 18:9 aspect ratio. It packs a 0.3-inch bigger display in a 2mm narrower body. 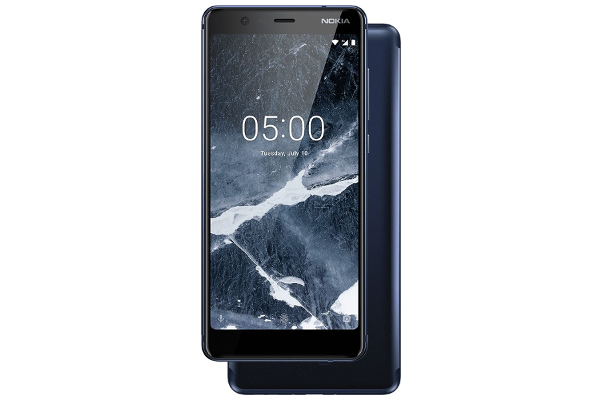 The new Nokia 5.1 gets its structural integrity from a single block of 6000 series aluminium, refined through a rigorous 33 stage process of machining, anodising and polishing to give an exquisite satin finish and feel in the hand. Powered by a 2.0 GHz MediaTek Helio P18 octa-core processor, Nokia 5.1 delivers a smoother all-round performance that is 40% faster and more powerful than the previous generation. The new Nokia 5.1 will come in three classic colours: Copper, Tempered Blue and Black (available a few weeks later); two storage/RAM options: 2GB/16GB, 3GB/32GB. It comes with upgraded 16MP rear camera with phase detection auto-focus and wide-angle front camera. Nokia 5.1's fingerprint sensor has been relocated to the back of the phone so you can unlock it with your index finger or leave your wallet at home as you pay securely and easily with NFC through Google Pay. The Nokia 3.1 features a 5.2-inch HD+ display, its 2.5D curved display is protected by damage resistant Corning Gorilla Glass. The Nokia 3.1 is also Nokia's most affordable 18:9 smartphone. The Nokia 3.1 runs MediaTek 6750, an octa-core chipset, giving you twice the processor cores and a 50% performance boost on the previous generation. It features an upgraded 13MP main camera with auto focus. 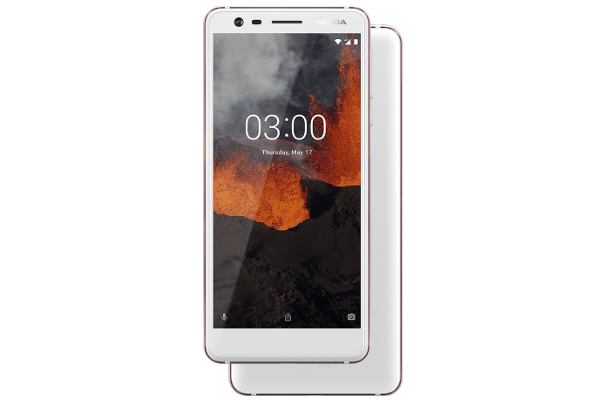 Thanks to its full set of sensors usually only found on premium phones, the Nokia 3.1 lets you make the most out of popular AR apps like Pokémon Go, pay securely and easily with NFC on Google Pay and capture the whole scene with panoramic imaging. The new Nokia 3.1 will come in three colours: Blue/Copper, Black/Chrome and White/Iron; two storage/RAM options: 2GB/16GB, 3GB/32GB. Nokia 2.1 a large 5.5-inch HD screen, 2-day battery life, and dual front-facing stereo speakers. The Nokia 2.1's huge 4,000mAh battery now charges even faster. With its HD display almost 20% bigger than the original, you can enjoy high-definition videos on the go while the dual speakers with bespoke 3D formed stainless steel detail gives you an amazing stereo sound. 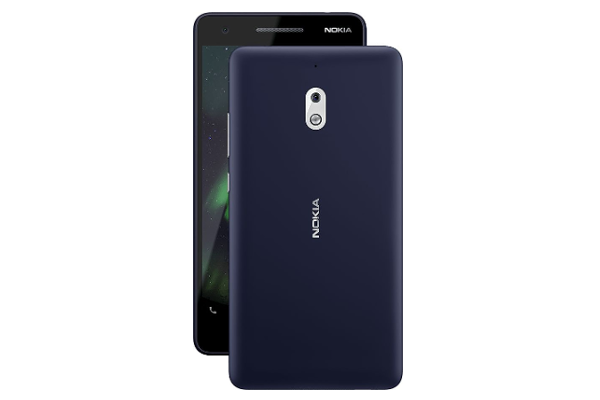 Offering the quality and style you expect from a Nokia phone, Nokia 2.1’s Nordic design and metallic accents guarantee that you will stand out from the crowd. Its sleek, rounded and ergonomically designed, inherently coloured polycarbonate back keeps your phone safe, vibrant and robust against scratches. The upgraded Qualcomm Snapdragon 425, 64-bit Mobile Platform gives users 50% faster and smoother performance. You can capture the action wherever you are with the Nokia 2.1's 5MP front-facing and 8MP rear camera with auto focus. The new Nokia 2.1 will come in three metallic colours: Blue/Copper, Blue/Silver and Grey/Silver. Nokia 5.1 and Nokia 3.1 will receive three years of monthly security patches and two years of OS updates, as guaranteed in the Android One programme. This puts them among the most secure phones out there, always up to date with the latest Google services like the Google Assistant and Google Photos with free unlimited high-quality photo storage. Meanwhile, Nokia 2.1 comes with Android Oreo (Go edition), designed for smartphones with 1GB RAM or less, giving you a smooth Android experience, more storage out of the box and consuming less data. All three phones are ready for Android P.